All but overshadowed by dramatic efforts to salvage the ill-fated Phobos-Grunt spacecraft, Soyuz TMA-22 mission (ISS mission 28S) in November 2011 had a goal of delivering three members of the International Space Station crew, which represented the 29th and 30th long-duration expeditions onboard the orbiting outpost. The Soyuz FG rocket carrying the Soyuz TMA-22 spacecraft lifted off from a snow-covered Site 1 in Baikonur Cosmodrome on November 14, 2011, at 08:14:03 Moscow Time (Sunday, November 13, 11:14 p.m. EST). Less than 10 minutes later, the Soyuz TMA-22 reached its initial orbit and the ship's onboard solar panels and antennas successfully deployed. The crew of Soyuz TMA-22, Burbank, Shkaplerov and Ivanishin, joined Expedition 29 crewmates Commander Mike Fossum and Flight Engineers Satoshi Furukawa and Sergei Volkov following their fully automated docking to the MIM-2 Poisk mini-research module of the station on Wednesday, Nov. 16, 2011, at 09:24:08 Moscow Time (12:24 a.m. EST, 05:24 GMT) or nine minutes ahead of the time announced in advance..
Five days later, Expedition 29 was to end, with Fossum, Furukawa and Volkov returning home inside the Soyuz TMA-02M spacecraft. The trio was scheduled to undock from the MIM Rassvet mini-research module Nov. 21 and land in Kazakhstan at 9:25 p.m.
Expedition 30 was to officially begin when the Soyuz TMA-02M undocks. Burbank was to take over station command in a ceremony scheduled to take place on Nov. 20, a day before the departure of Soyuz TMA-02M. In the meantime, aboard the orbiting International Space Station, Fossum, Furukawa and Volkov continued preparations for their upcoming departure, gathering and packing gear for return to Earth inside the departing Soyuz TMA-02M spacecraft. As of November 2011, Soyuz TMA-22 and its crew were scheduled remain at the ISS until March 2012. Preparations for the launch of Soyuz TMA-22 spacecraft were affected by the loss of Progress M-12M cargo ship in August 2011. Immediately after the accident, the impact of the failure on the next manned launch then scheduled to lift off on September 22 was yet to be determined, said Gennady Raikunov, the head of TsNIIMash research and certification center at Roskosmos. The man-rated Soyuz-FG rocket uses an identical third stage with the one on the failed Soyuz-U vehicle. The exact cause of the failure would have to be established before program officials could clear the manned mission for liftoff. In case of serious problems, corrective actions could take up to a month, Raikunov said. By August 26, the Russian media quoted various sources within the industry as saying that the upcoming launch manifest would have to be reshuffled to perform two unmanned missions of the Soyuz rocket, before the launch vehicle could be re-certified to carry the crew. It meant that the next manned mission to the International Space Station would have to be postponed from September 22 and allow the next Progress cargo ship to go first. 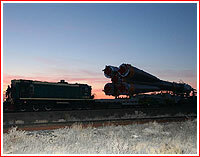 In turn, the Progress launch would be preceded by the GLONASS-M mission. On Aug. 29, 2011, Roskosmos confirmed that space officials had been considering postponing the landing of the Soyuz TMA-21 spacecraft beyond a previously scheduled Sept. 8, 2011, as well as the launch of Soyuz TMA-22 spacecraft, originally set for the liftoff on Sept. 22, 2011. The return of the Soyuz TMA-21 was preliminary re-scheduled for around September 16, the Russian media said. According to industry sources, officials were considering either November 1 or November 11, 2011, as a possible new launch date for the Soyuz TMA-22 spacecraft. 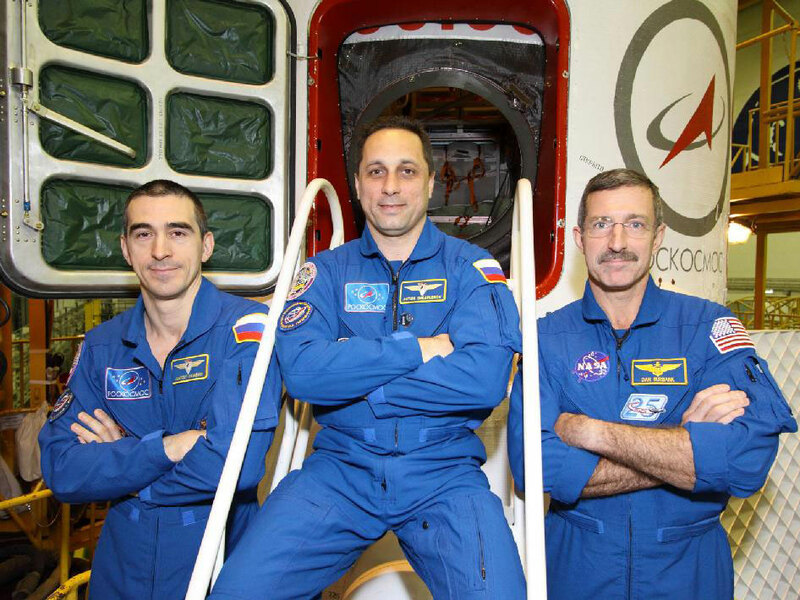 During this period, the crew of Soyuz TMA-02M would remain onboard the ISS, along with its spacecraft serving as a lifeboat. If this scenario is accomplished as planned, the station would remain manned. (As of Sept. 16, 2011. As of Sept. 13, 2011, the launch was scheduled for Nov. 12). As of October 13, 2011, the delivery of the Block I upper stage for the mission was scheduled for October 24. The stage was recalled for additional checks in the wake of the Progress M-12M launch failure. 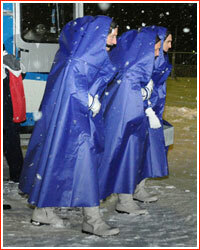 On January 23, 2012, Russian space officials announced that a spacewalk outside the station by Kononenko and Shkaplerov, which had been originally planned for February 14, 2012, had been delayed by two days to February 16, with the hatch opening at 18:15 Moscow Time. Three members of the long-duration expedition onboard the International Space Station, ISS, Russian cosmonauts Anton Shkaplerov, Anatoly Ivanishin and NASA astronaut Dan Burbank, returned to Earth on April 27, 2012, a month and a half later then originally planned. 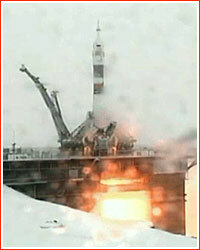 During winter of 2012, delays with the launch of the Soyuz TMA-04M spacecraft from March 30 to May 15, 2012, produced a domino effect within the return schedule of the Soyuz TMA-22 crew. Space station partners first agreed to postpone the landing of the Soyuz TMA-22 spacecraft from March 16 to April 30, however by March 28, this critical phase of the flight was advanced to April 27 to avoid the operation of support services on the eve of a May day holiday. The undocking of the spacecraft from Poisk module took place at 12:18:19 Moscow Time (08:18 GMT) on May 27. According to Russian mission control, the 258-second deorbit firing was to start at 14:49:26 Moscow Time (10:49 GMT) on the same day. The separation of the descent module of Soyuz TMA-22 from its habitation compartment and the instrument module was scheduled for 15:17:53 Moscow Time at the altitude of around 140 kilometers. The touchdown was planned for 15:45:06 Moscow Time (12:45 GMT) in a routine area some 85-88 kilometers northeast of Arkalyk, Kazakhstan. Russian mission control announced that the landing had taken place at 15:45 Moscow Time, successfully concluding the 165-day mission. Two An-12 and one An-26 aircraft, 14 Mi-8 helicopters and seven specialized all-terrain vehicles were to support the landing, a semi-official RIA Novosti news agency reported. This landing completed the missions of the TMA version of the legendary Soyuz spacecraft.